YouTube is part of Google, so everything you do on Google is tracked. Then when you go to YouTube, you will see recommendations that are based on what Google sees you doing. Sometimes those recommendations look like this. For both finding content you may actually like, and so that you don’t have to explain things if someone else happens to see what is being recommended to you, clearing your settings is the easiest way to take reset your recommendations. So at this point you want to clear the settings as YouTube has them, so that “no incriminating evidence” is available (you know that’s what you are thinking, admit it!). To clear settings follow these steps. From the top right, click on your name (where you are logged in) and in the drop menu select settings. Now scroll to the bottom of the page, where you will find the History button. Click on History. At this point, in the window that opens, look on the right hand side. Where you will see Watch History, Search History, Comments, Community, and Live Search. 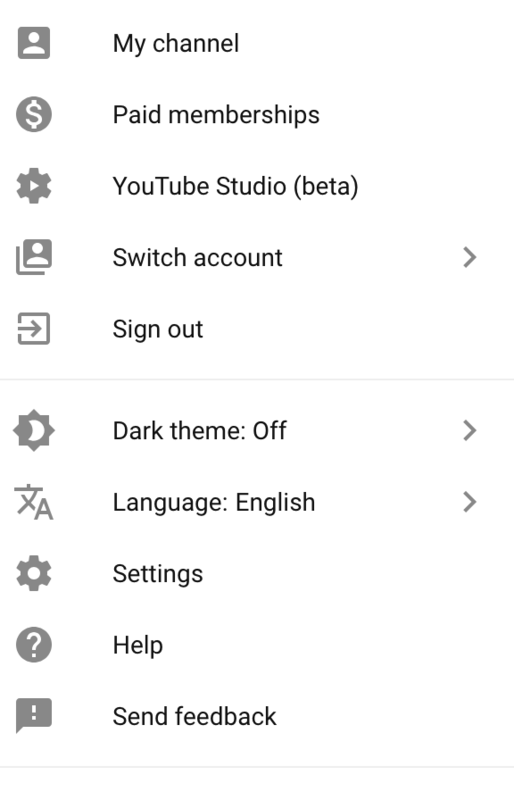 From here you can clear the history for each of the sections YouTube (Google) tracks. There is also a 2nd option listed there which is to Pause your History. So what is the deal with Pause? So you cleared your history, and you don’t to keep having to clear it. YouTube gives you an option to pause your history. That is also done by each category, and you will notice a the selection to pause history when you select each category. 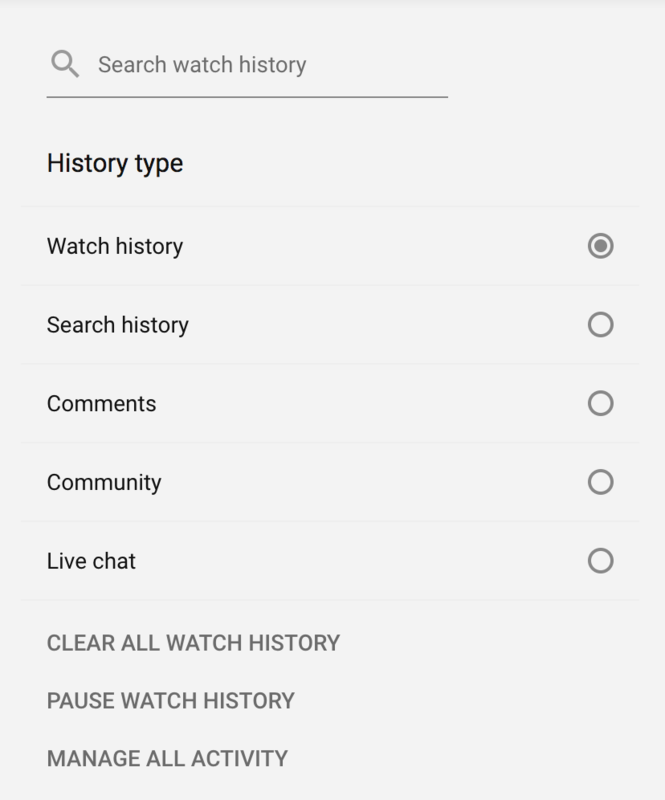 As YouTube (Google) warns you, by pausing your history “future searches will NOT appear in your search history and will not be used to provide improved recommendations.” So if you don’t care about the search history and don’t want anyone else to see it, pausing is a good way, so you don’t have to remember to clear your History.